After a short introduction at St. Stephans we will leave to the amazing area behind the cathedral with its narrow streets and hidden courtyards. 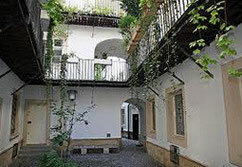 You will see the house where Mozart wrote his famous opera "The marriage of Figaro" and marvel at the typical “Pawlatschen” access balconies! 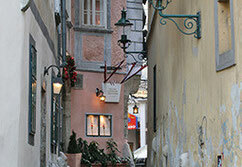 This is the Vienna of Roman ruins, medieval cellars and catacombs; tranquil courtyards and romantic fountains! 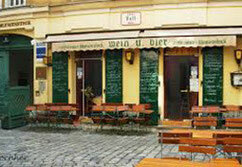 This tour will lead you to hidden corners, little-known places and unusual objekts, like the "Wiener Basilisk" for example. As well you take a look to the Jesuiten church, with its fantastic ceiling painting and lost but not least we take a look to the world famous bermuda triangle. 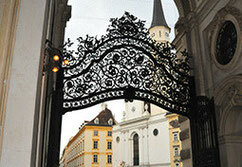 Recommended for visitors to Vienna wishing to discover something a little different!